Every now and then we decide to step out of Abby World and acknowledge that Abigail Phelps is a fictional character. Sadly, it's true. She is a creation of Bethany Turner, author of The Abigail Phelps Series. 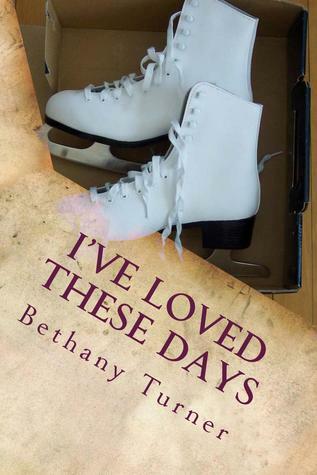 Click the link to visit Bethany's site. These two links to the left are for the Bethany Turner, Author Facebook Fan Page and Bethany Turner's Twitter Page, @BTLiteraryStuff. We'll tell you right now - Bethany isn't nearly as interesting as Abby, but we'd love it if you would go ahead and Like and Follow her anyway. Abby always gets all of the attention, so Bethany's ego needs a boost once in a while. Thanks. Click to visit this site - Felicity is a friend of AbbyWorld, and she makes wonderful felt dolls of Torvill and Dean and other skaters. And guess what? She can even make Abby! Follow her on Twitter @feltfangirling! Click the link to visit the homepage of the city of Florence, KY.
Abby doesn't think there is any place on Earth as peaceful as Augusta, KY. Ever since her first visit in the late 1970's (when she attended George's senior prom) she has loved to escape to Augusta every chance she gets.